Last November, I isolated Godolphin’s Cross Counter, trained by Charlie Appleby, the Williams part-owned Cliffsofmoher, and Waller Racing’s Youngstar as my primary Melbourne Cup contenders. Here we are again, six months later, in the Sydney Cup, with the same protagonists, loaded up with different horses and ready to go at it again. 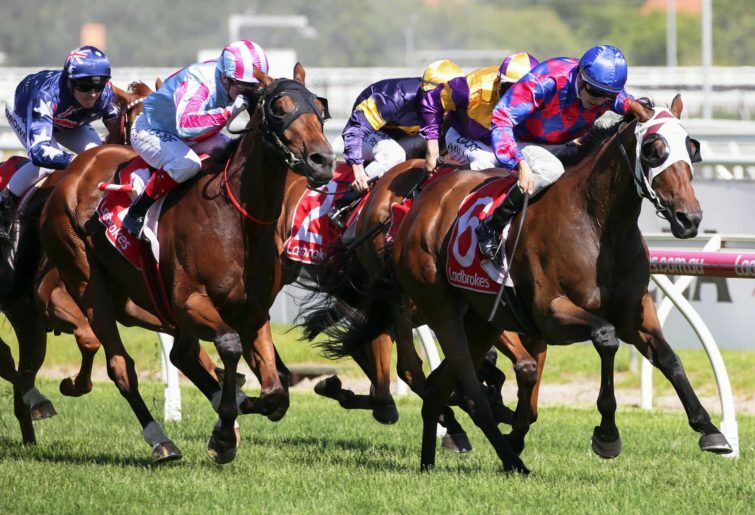 The 2019 Sydney Cup shapes up as a reasonable quality Domestic Group 1 race. The race may lack internationally rated talent (110+) but it makes up for that with an excellently handicapped field. Charlie may not be my boy this time. The horse holding Cup favouritism is the Charlie Appleby trained Dubhe. Appleby won this race in 2017 with Polarisation. While the betting market is factoring in the Appleby down-under strike rate it seems the assessors are determining the son of Dubawi’s skill level off his early career defeat of Communique, a good horse who finished 2018 rating 109 progressing from a similar mark as Dubhe in the low 100’s at season’s start. Dubhe’s Meydan defeat of Red Galileo is neither here-nor-there as I wouldn’t rate that horse a contender in this race. Other than Communique’s race nearly a year ago, I am struggling to see him rating above 101-104 range at best. I’m keeping him on his established number until he shows me otherwise. He is handicapped at a 102 and that is a fair weight putting him in the race with a good chance but not the favourite in my book. The two I see advantaged under the scale are Midterm and, to a lesser degree, Shraaoh. Seasoned campaigners Big Duke and Gallic Chieftain can also claim a scale advantage but both lack at the end of a solid 3200 metres distance, although both have placings at the trip. Midterm looks significant. I’ve been waiting patiently for this horse to regain a semblance of his Euro form and, until his last outing, he was firmly lodged in my red-ink column. Midterm’s UK form returned a black-type ‘beaten-form’ benchmark 110-115 range but generally his gallops indicated the lower end of that range. When finally dropped back a level below black-type he was dominate beating the good horse Mount Logan and Fierce Impact, who is now racing well in Australia. He received a victory rating of 108, indicating his Group-form was genuine. Mount Logan consistently returned a 107-110 range for most of his career. The son of Galileo was sold to Team Williams and shipped to Macedon Lodge. Midterm received the foreign-purchase benchmark discount to begin racing in Australia off a 98 mark. There he stayed until starting a (mildly expected) scale jump last start with a solid victory. Although penalised 1.5kgs (three points) in the Cup, raising his race-weight to 52.5 kgs, he is still well in at the handicap. Weighted on his Euro form he would be expected to carry between 54.0 to 55.5 kgs. He is my clear favourite. Waller’s seeing stars. The Chris Waller trained, UK-import Shraaoh, is another sleeper who is beginning to wake-up. He has been solid at every distance run in Australia. His UK form was average, competing in races two or three triers below this level. His main claim to fame was a three-lengths maiden defeat by the outstanding Group 1 galloper Poet’s Word. Bad luck running into that horse in your maiden. Shraaoh arrived in Australia, received his foreign-purchase discount dropping him to a rating of 84 and promptly won the 2800m race at Flemington last Cup day. Chris Waller has improved this horse. The Official Rating agrees with me. He now officially rates at 100 without winning again. To get a line on Shraaoh’s actual current rating, take a line on his competitive 0.5 length defeat by Gallic Chieftian, receiving two points (1kg) making him about three points inferior to the resurgent Archie Alexander trained grey. That would give the Waller horse a rating of 101. He defeated Sir Charles Road by a length in the same race, so his 100-102 range is confirmed. If Midterm returned a 106-108 when winning Rosehill’s Manion Cup, as I suspect, and with Shraaoh finishing a strong third, that again confirms him in a competitive range. He is by outstanding stallions and one of the greatest horses of all-time, See the Stars, out of a Monsun mare. Monson’s sons have won three recent Melbourne Cups. I guess we are going to see where he really lays on the scale. Shraaoh has the potential to find another couple of points over this trip but even if he rates 101-102, he is meeting Dubhe at a 1.5kgs (three points) weight difference to his advantage, so you may consider him a chance of beating that horse home. Of the others, both Big Duke, a place-getter in 2017 and Gallic Chieftain, are very well placed on their current performance mark but at a disadvantage to Midterm. Semari looks very promising, but is meeting seasoned horses with no weight advantage. She will have to be very good to even place, let alone win. Like Semari, Rondinella is declared 1kg overweight and would need luck to finish in front of Big Duke on their Tancred performances particularly after that unnecessary adjustment to her handicap. Yogi was great in that race, but needs others to under-perform too. There are plenty of good horses in the race not mentioned here that, at weight-for-age, would be favoured to fight that style of race out, but this is Australia and handicaps are the way we sort the wheat from the chaff. When a horse near the top of the weights wins a major handicap, you know you are looking at a pretty serious horse. That is why I’m looking down the weights in this race’s renewal. Of the other races, I managed to lose some pennies on Verry Elleegant in the VRC Oaks but she has kindly returned most of it and should continue the debt repayment scheme tomorrow in the Australian Oaks. What a great season for outstanding fillies. In the spring I was sure Verry Elleegant was the best and a very good ‘best’. Then, Arcadia Queen shows up with stellar performances and just when it is settling down, Mystic Journey arrives to claim the bragging rights. You get the feeling the female dominance of the Cox Plate may well continue. The rest of the races are really tough with chances everywhere, although I thought in the last, that I Am Excited might have a fitness edge to keep her ahead of Invincibella, stablemate Zumbelina and Spright, while trying to chase down Winter Bride, White Moss and Quilista, while praying that Ellicazoom, Resin and Siren’s Fury pull-up for a cup-of-tea at the 600 metres. Don’t get me started on the Provincial Championship. Great race. Kiamichi backing up in the Percy Sykes is interesting. She keeps measuring up. I think Damien Lane must have been pre-booked for Cheer Leader or she is better than I think she is. Team Hawkes are having a throw at the stumps with a Alan Bell owned first starter in the race named Kahlo. Today should bring a joyful end to one of the greatest horseracing careers of all time. 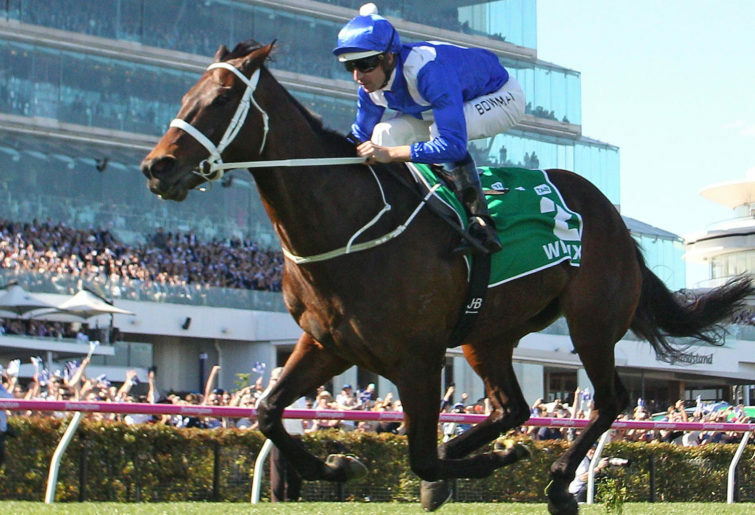 The champion and legend Winx runs her last race. What a ride it has been for all who love our sport for all the right reasons. What an athlete she is. Once Winz-mania dies down, I’ve been thinking, I’ll write a piece about her and where I think she rests in world racing history. In the modern era, Secretariat is still the best horse I ever put a number to. But when it comes to mares, I can’t think of one better but I am yet to give her a career number. Don’t worry it will be big. A few years ago, I had some fun choosing a song accompanying a Winx piece I wrote when her greatness was still in debate. It was Crowded House’s, ‘Message to My Girl’, you know, NZ band with a great song that seemed to have a relevance to the events her supporters hoped would unfold and luckily that magic came to pass. I will end this article with another YouTube tune. Some might think I would choose Crowded’s classic to accompany her last race, ‘Don’t Dream it’s Over’. But no. I’ll take you back well-over half-a-century to a rock-n-roll singer named Jackie Wilson. Probably most of you have never heard of Jackie Wilson, but you will now. For Winx’s farewell, let’s all dance.